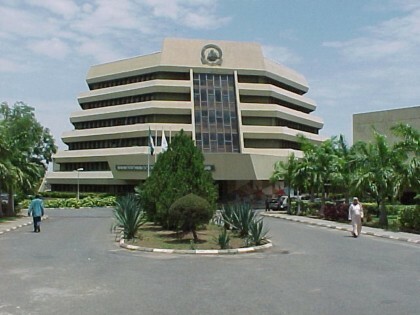 The National Universities Commission (NUC) has scrapped sub-degree diploma programmes in the Nigerian University System (NUS), with a call on universities running them to begin the process of winding them down. A comprehensive review of the entire university curricula [the Benchmark Minimum Academic Standards (BMAS)] and ranking of Nigerian Universities have also been scheduled for 2017, while two of the cardinal activities of the Commission, Accreditation of Programmes and Resource Verification, will now take place only twice and thrice a year, respectively: May and November for Accreditation as well as March, July and December for Resource Verification. These were some of the far-reaching decisions taken at the interactions of the Executive Secretary, NUC, Professor Abubakar Adamu Rasheed, with Vice Chancellors of federal, state and private universities in the country. The three-day meeting, which ran from Monday, 10th to Wednesday, 12th October, 2016, had the entire NUC Management with Vice Chancellors of federal universities on the first day, their counterparts in state universities on the second and those of private universities, along with some of their proprietors, on the third day. Other decisions taken include the revamping of Institutional Accreditation, commencement of accreditation of part-time programmes and resumption of the Nigerian University System Annual Review Meeting (USARM). The issues of accreditation of academic programmes by professional bodies, shortfalls in personnel emoluments and incorporation of universities into the Integrated Personnel Payroll Information Systems (IPPIS) and matters arising from the 2009 agreement between the Federal Government and Academic Staff Union of Universities (ASUU) were also extensively discussed. So was the issue of governance structure as well as the university education component of the Ministerial Action Plan. All the universities were charged to develop and implement an Institutional Research Policy; and, as a matter of urgency, establish a Research Administration Directorate, to be headed by an academic, not below the rank of a Professor; with appropriate human and material resources to run an Office of Intellectual Property and Technology Transfer (OIPTT) or Office of Technology Commercialisation and Industry Relations (OTCIR). The Research Directorate of NUC is being strengthened to work with those of universities to co-ordinate research activities in universities and ensure relevance of their outputs. To guarantee continuous quality improvement, the universities were directed to strengthen their internal quality assurance mechanisms by establishing a Directorate of Quality Assurance as a stand alone, or in the alternative, ensure a strong Quality Assurance Unit in the Directorate of Academic Planning. This is to be headed by an academic, who must also be a member of Senate. NUC called for a complete change of orientation, saying a university that internalises quality would make the Commission’s work easier because it would cover issues such as guidelines for the appointment and promotion of staff, research policy, applying for grants and judicious use of the same, the role of Senate in curricular development, admission of students, how teaching and learning take place, administration of examinations, appointment of external examiners, university ceremonies, etc. Professor Rasheed told the Vice Chancellors that he called the meeting to take them into confidence by intimating them with NUC’s new thinking, programmes and direction. As partners in progress, with common concerns, he hoped to get the VCs’ feedbacks and also be informed about their universities’ programmes, activities and plans for the future as well as what they expected of the Commission. The aim was to reposition NUC to work more closely with the universities for effective quality service delivery, as they perform their tripartite function of teaching, research and community service. On the scrapping of university diplomas, the Executive Secretary told the meetings that running sub-degree diplomas was not the business of Universities, but that of Polytechnics, more so when the Federal Government, as far back as November, 2001, had issued a circular stating that such diplomas could not be used for employment or promotion purposes in the Public Service. Rather than stretch their facilities to run sub-degree programmes, the universites, he said, should direct their energies towards their primary function of producing high level manpower for the economy, by strenthening their part-time programmes, in addition to offering high quality undergraduate degrees as well as postgraduate diplomas and degrees. In view of the increasing cost of Ph.D training abroad and the need for Nigerian universities to continue to develop their staff and produce more PhDs for the economy, NUC encouraged all Nigerian Universities to identify their areas of strength/comparative advantage and collaborate among themselves to mount joint Ph.D programmes. While counselling the Vice Chancellors to be courageous enough to close down any unviable programme, Professor Rasheed also tasked them to be creative and innovative enough to come up with new courses and programmes that would address emerging societal challenges. He expressed NUC’s readiness to work with them to develop the BMAS for such new programmes. Following the recent development of the BMAS for Aeronautics and Aerospace Engineering, a collaboration between NUC and the Kwara State University, Malete; the Executive Secretary said the Commission would soon conclude work on the BMAS for the Bachelor’s degree in Software Engineering, Cyber Security, Agriculture Extension Services, Medical Physics, Information Technology and Management Information System, among others. He reminded the universities that, while they could not jettison the BMAS, it was the minimum for each programme and they were at liberty, indeed, encouraged, to innovate and build on it. For the comprehensive review of the university curricula, NUC would engage a mix of old, experienced and young, vibrant academics to come up with curricula that would not only be dynamic and responsive to national needs, but also conform to global trends. He expressed regret that whereas the positive things happening in the NUS were largely under-reported, the negative ones, like when a few semi-illiterates graduated from the system, either through cheating or some other forms of corruption and were unable to defend their certificates, dominated the air waves. Rankings stimulate competition among different universities and programmes, and contribute to the definition of quality. The NUC Scribe, however, dissociated the Commission from any reported ranking of Nigerian universities in the mass media, saying it had not embarked on any such exercise in the last 15 years. It was, therefore, embarking on next year’s ranking to put an end to the spurious claims and innuendoes about the academic standing and quality of Nigerian universities. The exercise was expected to be done in line with global best practices, with emphasis on the selection of performance indicators that would take cognisance of the Nigerian context and its peculiarities as well as the need for its universities to be globally respected. On the reform and streamlining of the accreditation process, the Executive Secretary explained that, NUC hitherto, conducted the exercise all year round, but the plan to conduct it twice a year would give the Commission enough time to plan well for it and also perform its other statutory functions without distractions. He warned that any university that failed to present its programmes for accreditation, as and when due, without satisfactory reasons, given well in advance, would earn denied accreditation and the relevant agencies (JAMB and NYSC) would be duly notified. Plans are underway to restore and standardise the coordination meetings for panel members. NUC would be more creative and flexible by reviewing its instruments and template for accreditation as well as the data base of panel members, as it would no longer rely on their recommendation by their Institutions alone. Accreditation would now be programme focused, such that a team would consist of panel members in a core subject area, who would visit the same programme in three to five contiguous universities, \while regular post accreditation visits would ensure continuous improvement in quality. Institutional Accreditation would address the overall quality of the Institutions without making judgments about specific programmes. The accreditation of part-time programmes would ensure that they are of the same quality as the full-time programmes, thereby restoring public confidence in them. On the frequent visits by several professional bodies to universities for accreditation purposes, the Commission reiterated the fact that it was the only body empowered by law to lay down Minimum Academic Standards and accredit programmes in the NUS, with entrusted powers to close down defaulting programmes and universities. It added that the training leading to the award of degrees was the responsibility of universities, while professionalism could come after graduation. Professional bodies were, therefore, advised to wait until after the graduation of students to introduce them to further professional qualifications or certifications. In recognition of the importance of data for proper planning and administration, NUC resolved to resume the annual University System Annual Review Meeting (USARM), which was suspended in 2012. The exercise enabled the Commission to interact with university administrators directly and obtain information on the status of their yearly activities. Institutions were expected to submit various data ranging from their compliance with Government directives, institutional challenges, academic and fiscal plan, annual recurrent and capital grants, admission, staff, students population and distribution, among other kinds of information for general planning purposes and for the information of enquirers. Universities were mandated to commence the submission of these data immediately, to enable the Commission publish the Nigerian Universities Statistical Digest ahead of the 2017 USARM. The public universities were told to expect visitation panels before the end of the year. A summit on private universities will hold next year, where NUC’s position and those of the universities would be examined and a consensus reached. Following exhaustive deliberations on the matters arising from the 2009 Federal Government/Academic Staff Union of Universities (ASUU) Agreement, such as the Nigerian University Pension Management Committee (NUPEMCO), Earned Allowances, Needs Assessment, among others, NUC assured the Vice Chancellors that it was articulating a position paper to the Federal Government on the need to constitute its renegotiating team to address all matters pertaining to the Agreement. It called upon the Union to do the same, adding that the Commission would continue to work with all parties in the best interest of the NUS. Most of the decisions taken were greeted with rounds of applause as the participants aligned with them. The Vice Chancellors commended the Executive Secretary for convening the well attended meetings, for the wide scope and for largely speaking their minds.